Graduated Hofstra University in 1990 with a BBA with a specialization in accounting. Jim's 20 years of experience and knowledge of business management, real estate management, taxation and financial accounting give him a wide range of skills to assist clients with accounting and financial needs. He consults in the real estate, construction, entertainment, professional services, retail and healthcare industries on many tax and accounting matters. Jim oversees client accounting, financial reporting and tax preparation functions. He also has valuable experience with financial budgeting, financial management, forecasts and projections. He advises on income tax, deal structuring, and financial statement issues. Jim also assists in recommending tax structure, identifying areas of tax exposure, and determining specific opportunities for tax savings. 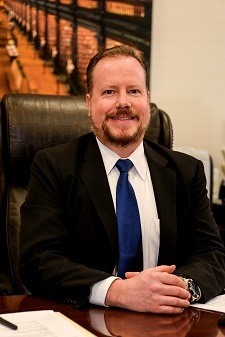 With his extensive tax experience, Jim represents clients in matters involving the Internal Revenue Service, state and city tax authorities, including examination, collection and appeals representation. He is often called upon for his tax insight and innovative tax planning strategies.